When looking a getting a loan, several factors need to be taken into account by the applicant. This includes factors such as are they a homeowner? Do they have adverse credit? Can they provide a guarantor? All of these questions will help them decide the best course of action. Typically, anyone with bad or adverse credit will need an alternative option such as a guarantor. The reason for this is that it adds an extra level of security that lenders prefer, to counter the issue of bad credit. Bad credit can be due to a variety of reasons and often t hrough no inherent fault of the individual. There is no doubt that the recent recession and continuing austerity measures have had a profound effect on the livelihoods of millions, which has resulted in record numbers of people having issues with their credit file. This comes in many different ways such as late payments on credit agreements, defaults as well as county court judgements, all of which have a detrimental impact on the credit file of the individual. This in turn makes it very difficult for the same individual to obtain any form of loan. So the typical scenario is that they apply over and over again to numerous different lenders and institutions in the vain hope of getting the loan they want. Unfortunately all this does is have a further impact on their already damaged credit file, as all the searches are displayed on it. The solution is to utilise a professional broker. A broker will often have a panel of lenders whose criteria they know. This means that the broker will be able to quickly and effectively assess the applicant’s best option, saving both time and money. Piggy Finance ltd is Registered in the UK, number 08168868. Registered with the Information Commissioners Office z3345502. 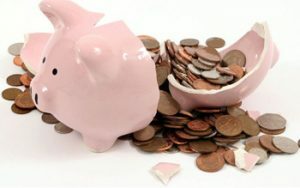 Piggy Finance Ltd is one of the UK's Leading NO FEE Finance Brokers, By applying for a loan on our site www.piggy-guarantorloans.co.uk your application will be placed with the correct lenders dependant on your criteria to give you the best chance of acceptance. We do not charge for this service, you will receive the same quote as going direct to lenders, we receive a small commission from the lenders on every completed loan.For more info please visit what we do.Nothing on this website constitutes financial advice. If you need financial advice you should speak to a qualified financial advisor.